Tonight I had a very special experience thanks to my friend and colleague Doug Kresse. Doug listens to NPR way to much and he enters contests all the time, and he often wins. Tonight I was the winner however because Doug’s prize for the most recent contest was an event scheduled tonight, and he bailed out on an event he had a ticket for. When I saw the event he was offering to me I leaped at the chance to go. 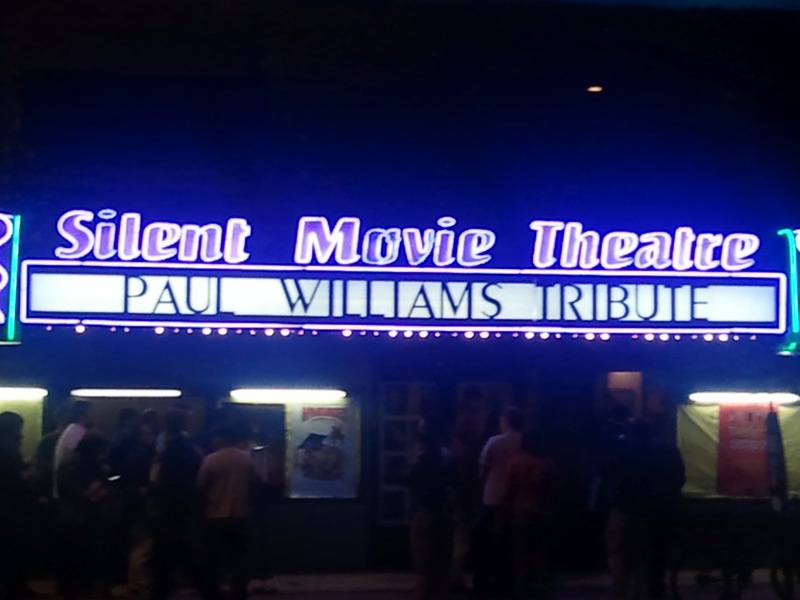 It was a Tribute to Paul Williams, with a concert featuring the music from his musical score to “The Phantom of the Paradise”. Many of you may be unfamiliar with the movie. 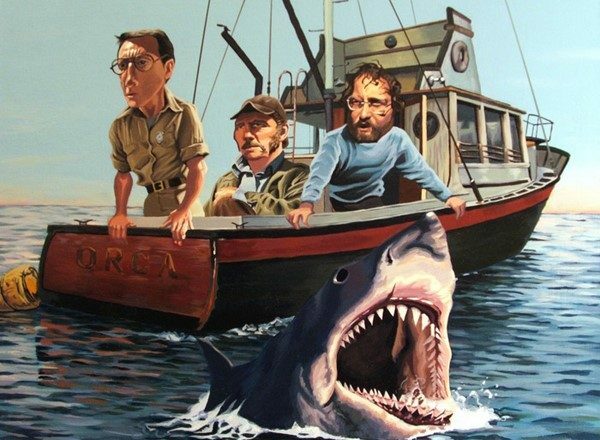 It was not a big success when it came out in 1974 although it has a cult status among many film lovers. Paul Williams on the other hand should be extremely familiar to anyone over the age of thirty and truth be told, most under thirty probably know his work even if they don’t know him. You can look up a biography and see the list of accomplishments of Mr. Williams, it will be quite lengthy. In the 1970s he was a ubiquitous presence in pop culture. He was a frequent guest on most of the talk shows of the times including; The Tonight Show with Johnnny Carson, Mike Douglas, Dinah Shore, and Merv Griffin. Notably he wrote pop songs that were number one hits for “The Carpenters”, “Three Dog Night”, and Barbara Streisand. His songs appeared in dozens of movies and he was an actor as well. He can be seen in dozens of old TV shows, and movies. He was one of three leads in “The Phantom of the Paradise”, playing Swan, the Satan based character that the Phantom has sold his soul to. Basically, Phantom is a rock and roll version of Faust. Some time in the late eighties or early nineties, he seemed to disappear from the public spotlight. Admittedly fashions change and styles move along, but it does seem strange that someone so talented would vanish from the public consciousness in such a brief time. Well it turns out that in addition to changing public tastes, he had an extreme cocaine and alcohol addiction that was eating away at his life. Several years ago, a film maker Stephen Kessler, who had been a fan of his music, discovered Williams was not dead as he apparently thought, but was still very much alive and working in his now quiet way. Kessler managed to convince Williams to let him do a documentary on him, despite Williams reservations about drinking from the fame cup again. Williams was content with his life and did not want to come across as a fame whore again. Kessler was persistent and the result is a film opening in Los Angeles next week. 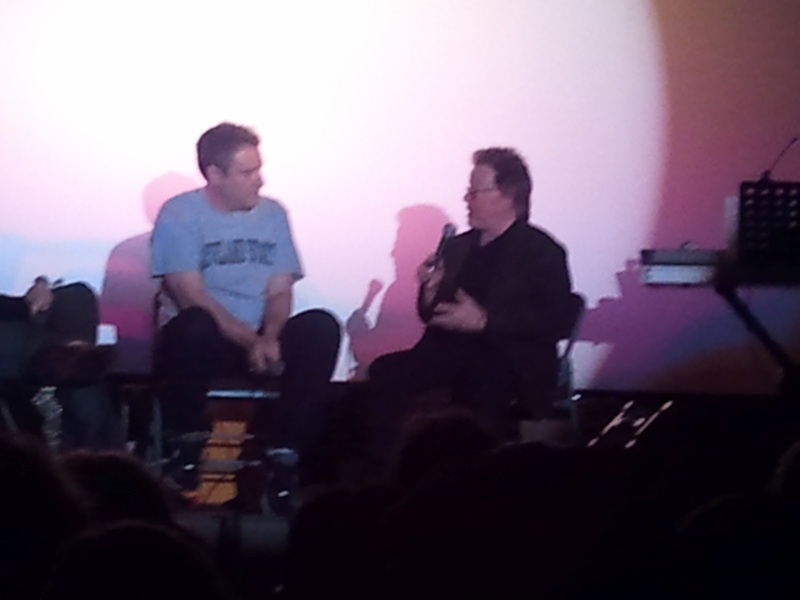 The evening tonight consisted of a Q and A managed by the programmer of Cinefamily, the sponsoring organization, with Stephen Kessler and Paul Williams himself. Everyone was quite lively and they covered a number of subjects, but the focus was primarily on the documentary, “The Phantom”, “Ishtar” and “The Muppet Movie”. There was one oblique reference to “Evergreen” the Academy Award winning song that Williams wrote with others, but they stayed away from insider Hollywood and focused on the music from these films. 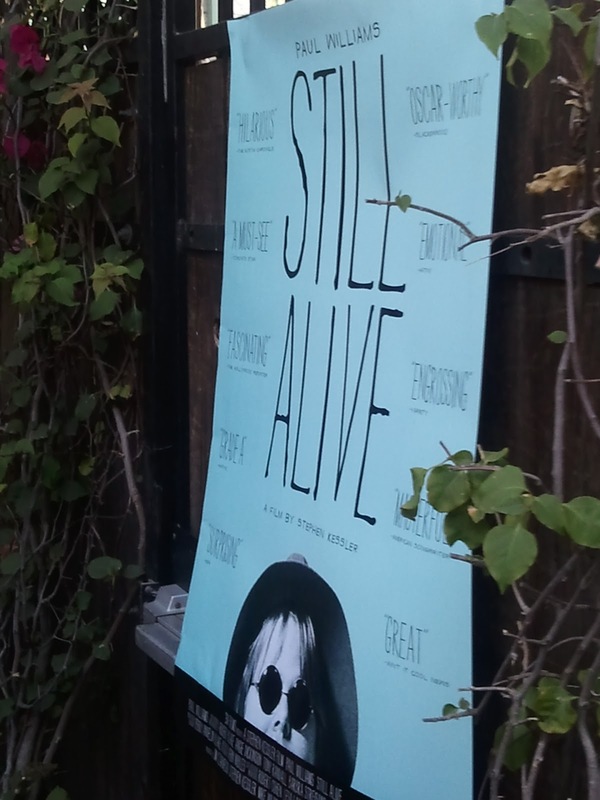 The conversation was great and it was punctuated by film clips from the new documentary and a couple of compilations put together by the Cinefamily. The director of the event particularly likes “Ishtar”, a movie I have championed since it came out in 1987. It was a critical bomb but I have always thought it is one of the funniest films I ever saw. The songs are supposed to be just professional enough to be believable, but also so off target that they are funny. Williams pointed out that there are dozens of songs, he wrote more than fifty for the movie, and that the director Elaine May, wanted complete songs so she could choose the parts that she wanted to use. I remember when the film came out that there was talk of an album featuring the songs, but when the film crashed that went away and we have been denied that pleasure. After an hour of conversation, there was a half hour break. Tickets to the documentary were being sold on the patio, but they were using laptops to make the purchase and it was moving slow so I will just have to show up at the Nuart next week. 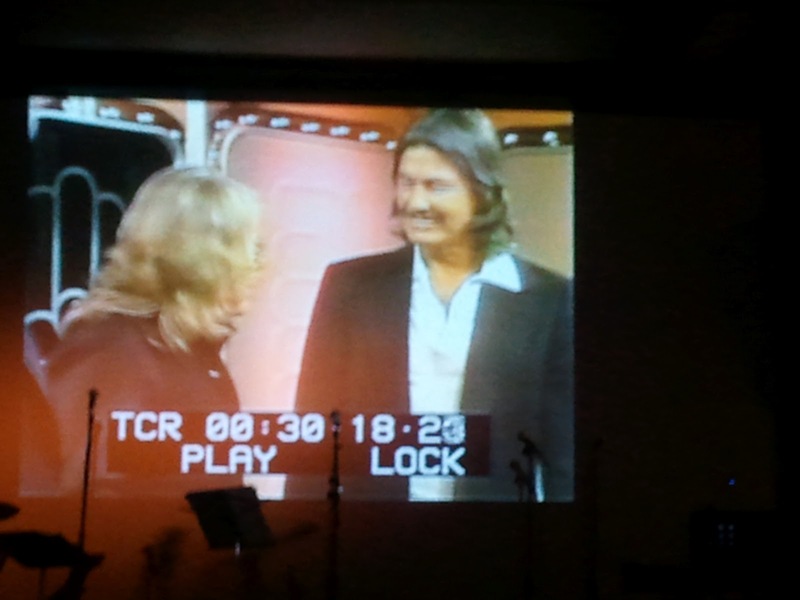 During the break there were several clips running of Paul Williams TV appearances, from talk shows to soap operas. I took a couple of quick pictures of two of those clips that were particularly amusing to me. The above is an appearance on the Mike Douglas show, promoting the movie Bugsy Malone. In those days on a talk show, the guests frequently talked with each other. It was fun watching the diminutive Paul Williams kibitz with the larger, very scary looking Charles Bronson and his wife Jill Ireland. They shared a story about a dinner tribute they went to for Groucho Marx, where Groucho ended up falling asleep during the proceedings. 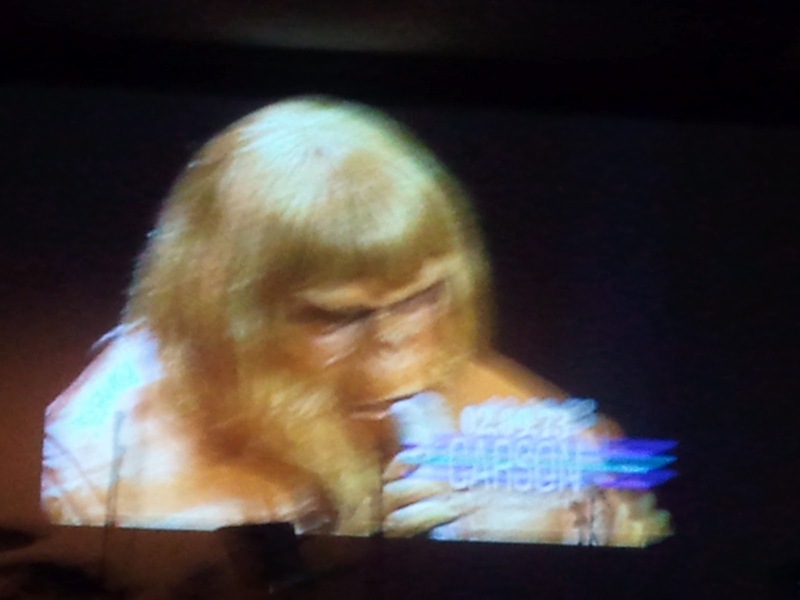 The second shot is Paul Williams in the Make-up he wore in “Battle For the Planet of the Apes”. I think he sang “Me and You Against the World”. When we returned, a band had taken the stage. The musicians were all locals that seemed to be famiar to many in the audience. I was very impressed with the way they managed to turn these songs into a pretty effective concert. Sometimes there was a cue from the film used to set up the song, but they often just went right into the music when the singer was ready. 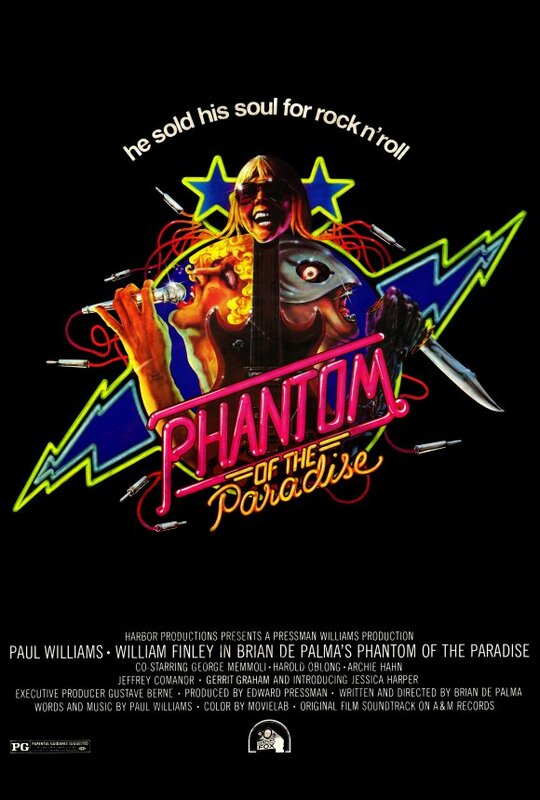 The songs featured were from Phantom of the Paradise. This is not from last night but it is very similar to the experience we had. This video is from Phantompalooza and performed by the original cast. There were several songs from Phantom, including “Upholstery” which may have been a forerunner to the songs in Ishtar. The singer did complain a little because he did this song, right after a lovely performance of “Rainy Days and Mondays”, which seems to be accepted as one of the great pop tunes of all times. Paul Williams frequently shouted out encouragement to the performers from his seat in the front couches. Everyone had a marvelous time. The theater was screening “Ishtar” and if I had known ahead of time, I would have planned on staying for it, but I was expected home. I did linger long enough to speak to Mr. Williams and tell him of my admiration for his song writing. He was gracious to everyone that night and shook hands with everyone who came up to him. He also made a point of asking everyone their name so when he spoke to you it was even more personal. He signed posters and took pictures with dozens of guests. I am really looking forward to seeing the documentary next week. The event took place at the old “Silent Movie Theater” in the Fairfax district of Los Angeles. As I was leaving the parking lot across the street, Mr. Williams was crossing in front of me and gave me a wave as a drove out in my flagship. It was a terrific evening with a musical genius and an appreciative crowd of admirers. I will try to add a full post on the Phantom movie some time this summer, and if events allow, I will see the new film in the next couple of weeks. Again, thank you Doug and thank you NPR for taking Doug somewhere else so I got to enjoy this. Richard, glad you had a great time! And what a scene of you leaving in the Flagship!! I have the Phantom of the Paradise CD, btw.